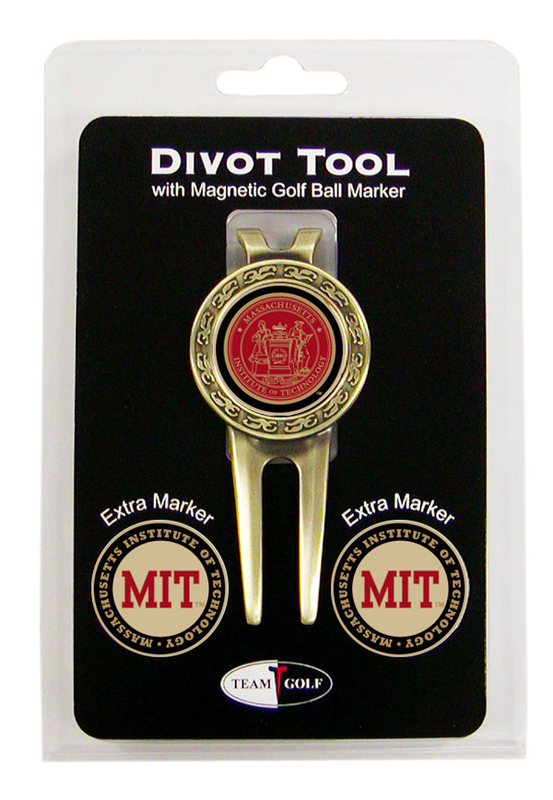 Add some team pride to your game on the green with this MIT Divot Tool and Marker Set. 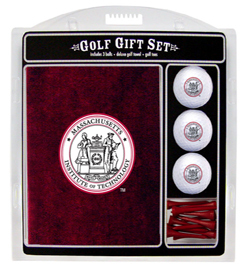 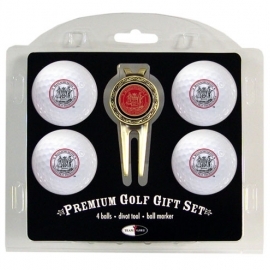 This set includes three double-sided, enamel magnetic markers that feature MIT seal design and wordmark logo and a nickel-finished divot tool. 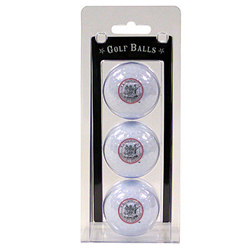 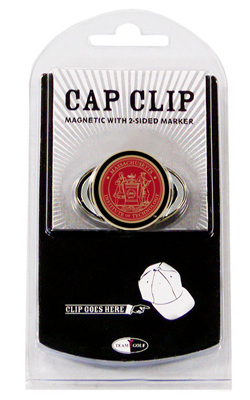 The magnetic markers are easily removed from and reattach to the divot tool, making it easy to mark your ball.